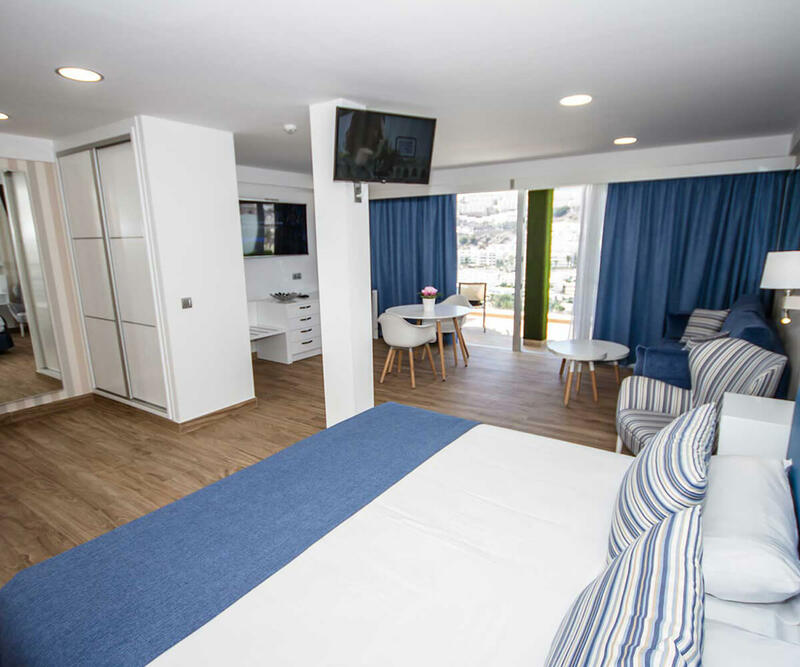 Accommodation for adults only designed to offer the ultimate relaxing experience. 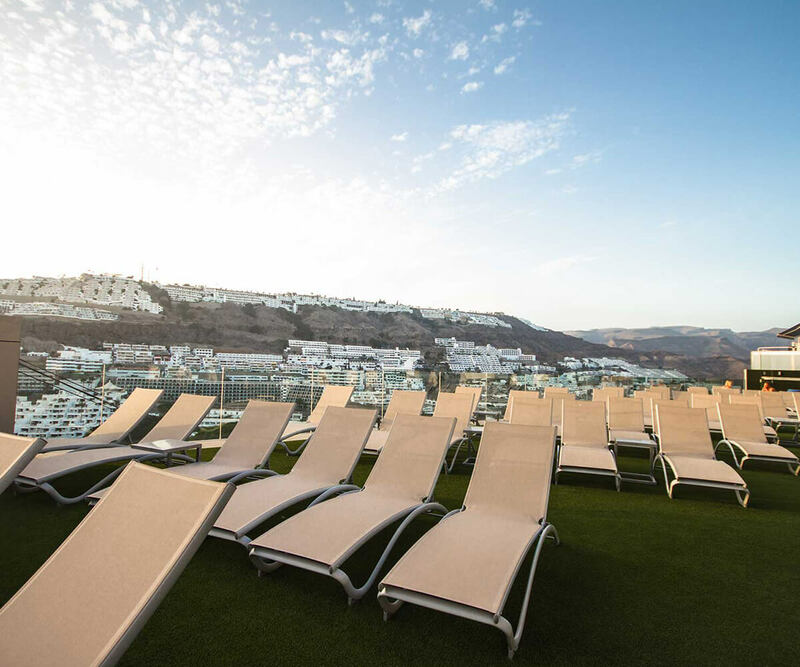 We are located in a privileged area where guests can enjoy the excellent weather in Gran Canaria all year long. 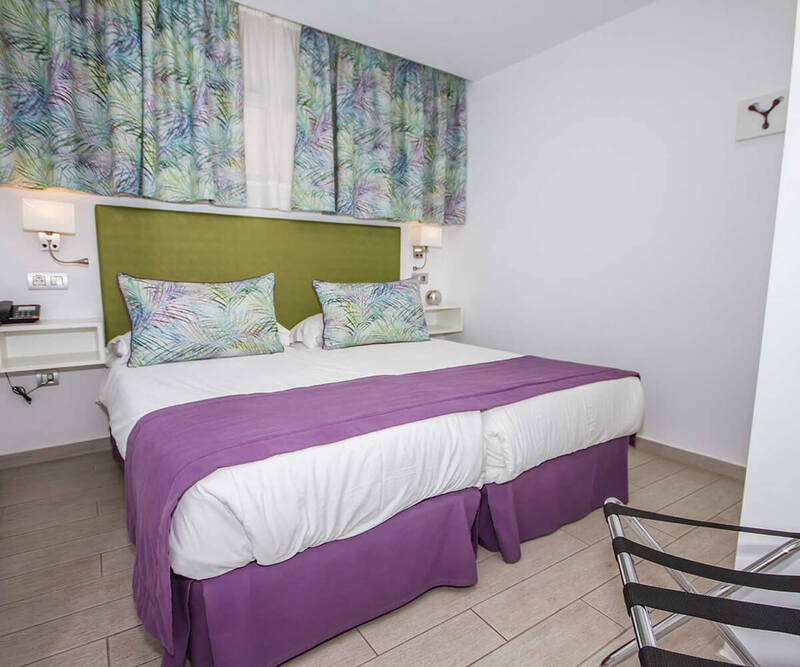 The hotel and apartments are distributed throughout two adjoining buildings. 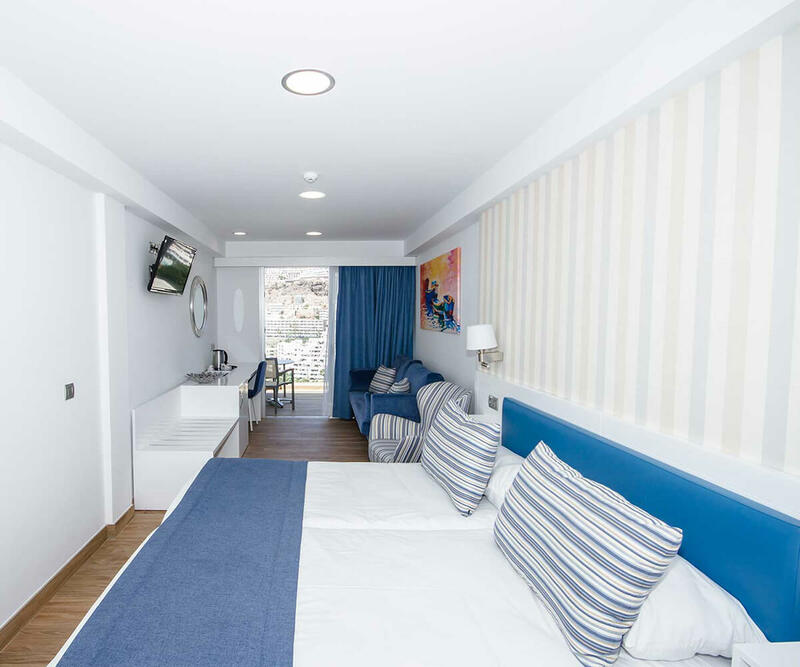 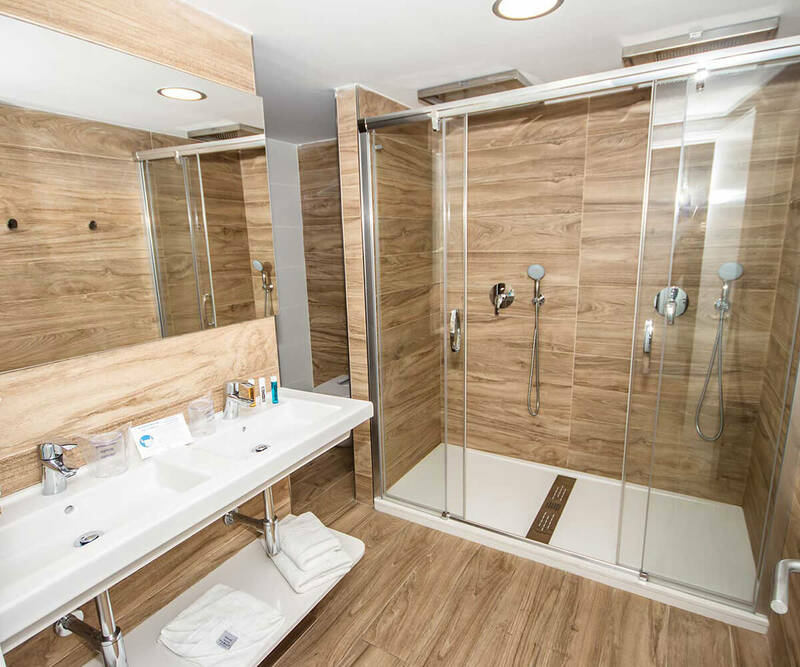 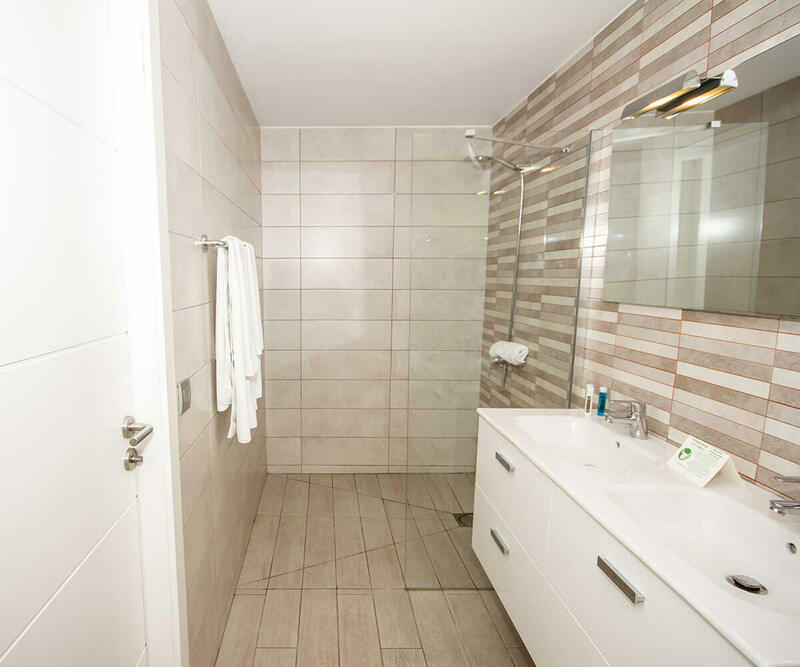 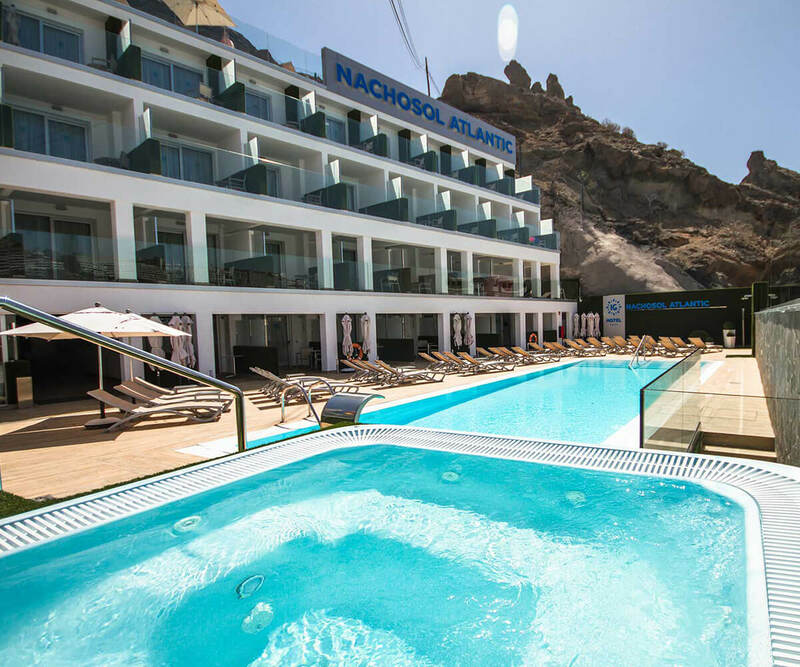 At IG Hotel Nachosol Atlantic ****, you can stay in Double rooms or in a Suite with a Jacuzzi on the terrace, whilst the apartments are located at IG Yaizasol Premium. 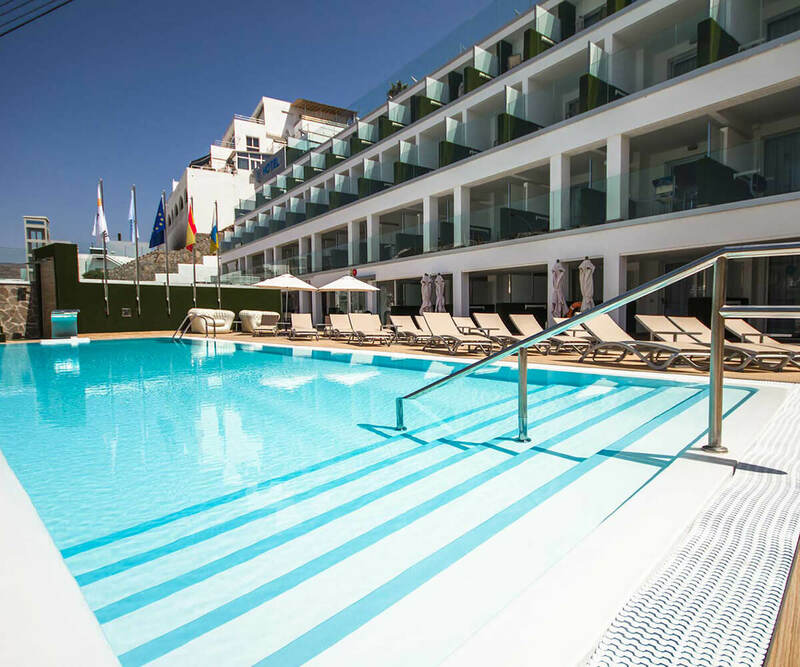 During your stay, you can have a refreshing swim in our outdoor pool, sunbathe on the solarium and relax in the Jacuzzi, all of which you can find in both facilities. 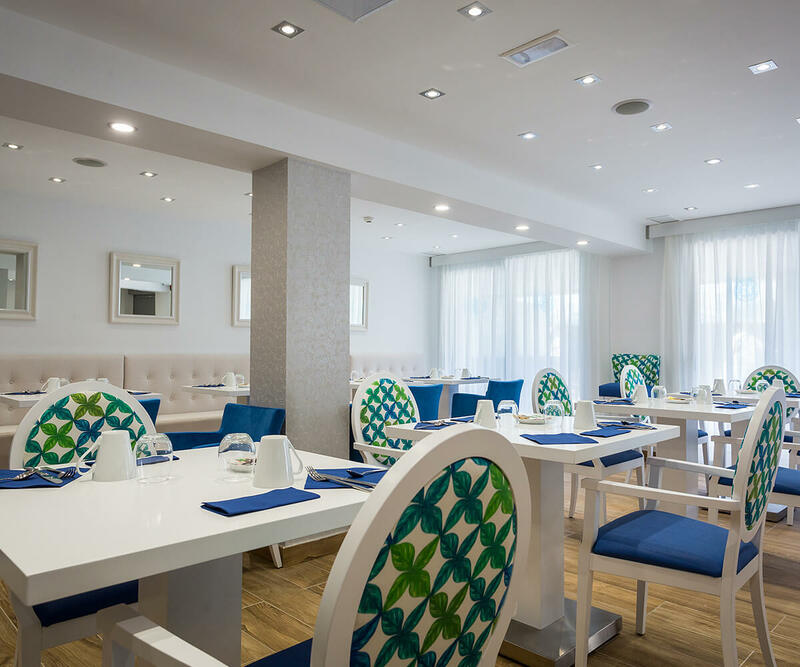 If you wish, you can also sample the delicious cuisine at La Princesa Restaurant, which offers breakfast and dinner services at IG Hotel Nachosol Atlantic ****. 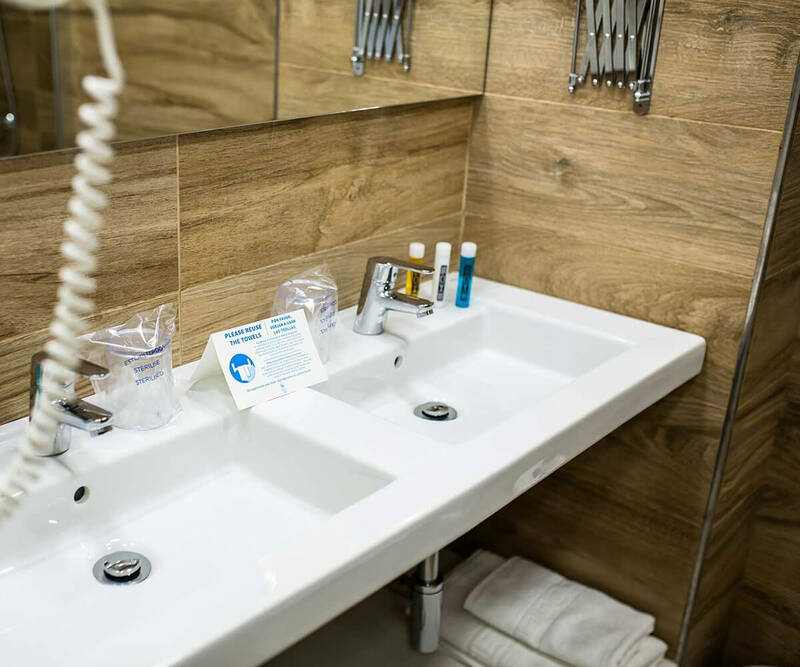 The reception desk is open 24/7 and is located in IG Hotel Nachosol Atlantic ****. 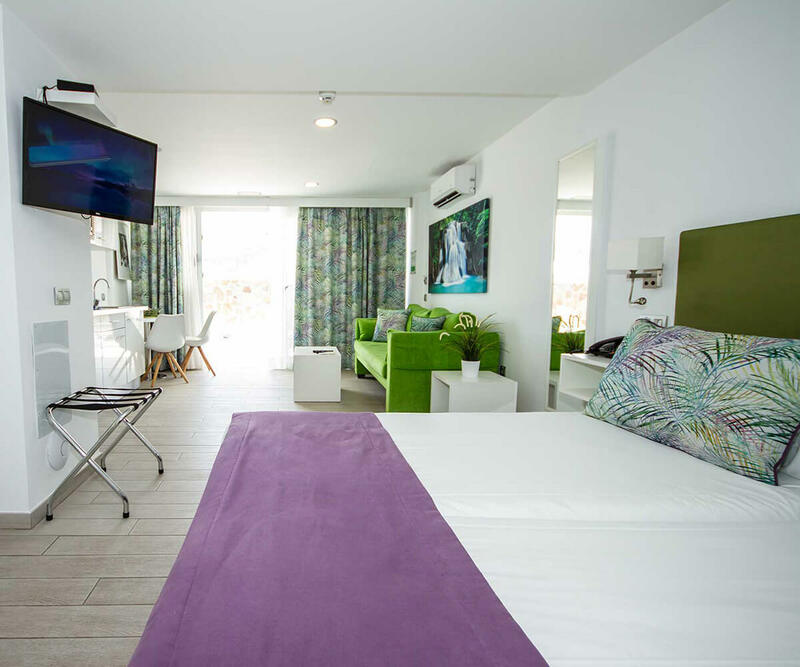 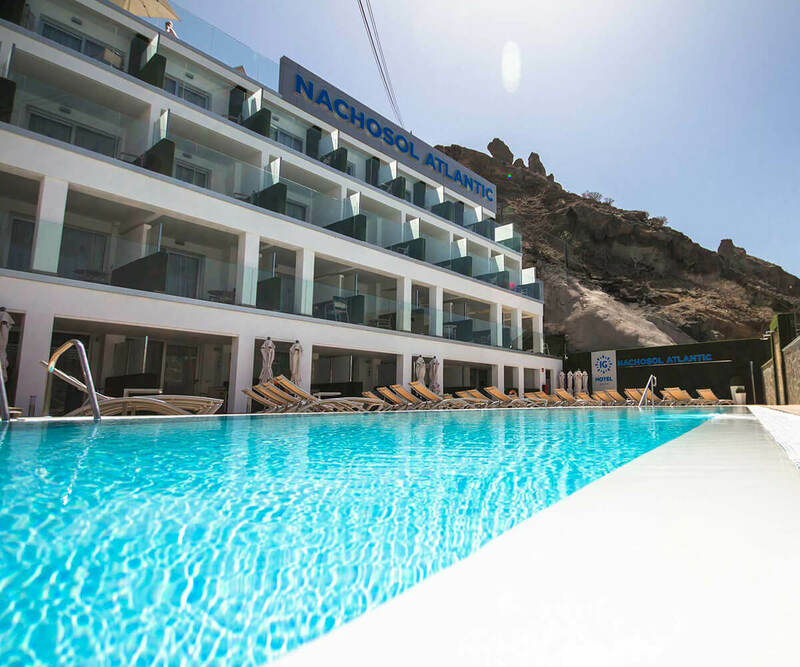 With 49 rooms and 20 apartments, at IG Nachosol Atlantic & Yaizasol for adults only you can choose the option which best meets to your needs. 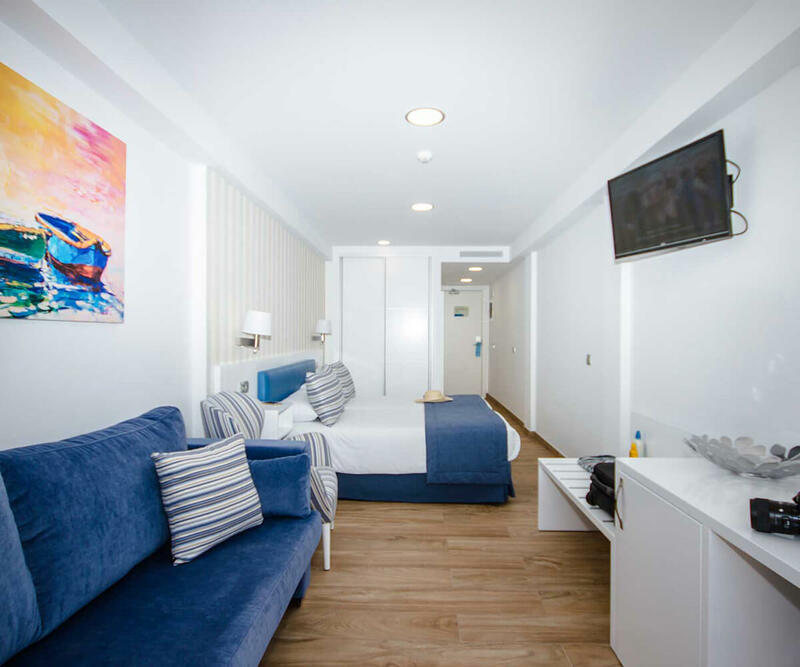 You might prefer a hotel where you can make the most of your holiday or perhaps the independence that an apartment gives you, where you will feel right at home. 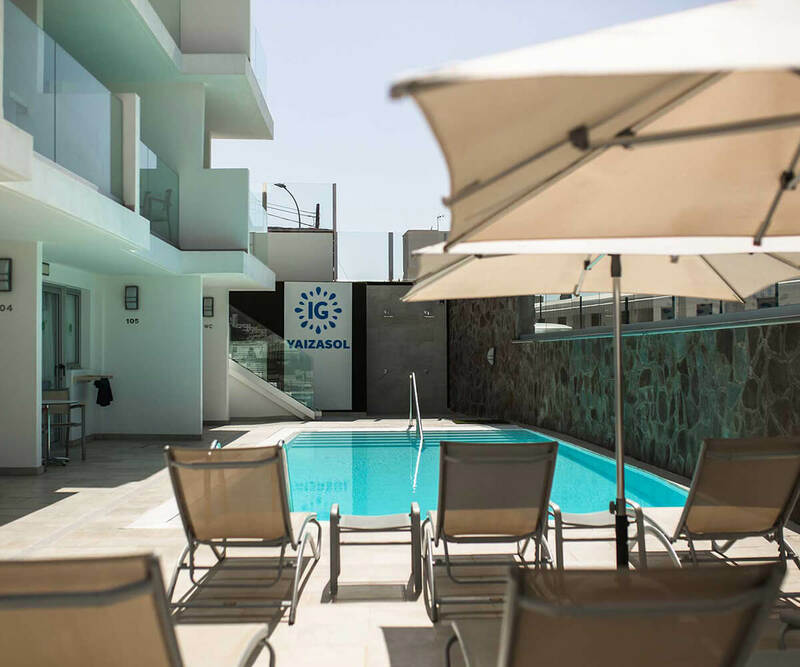 Whatever you need, at Nachosol Atlantic & Yaizasol you will enjoy every minute of your relaxing stay. 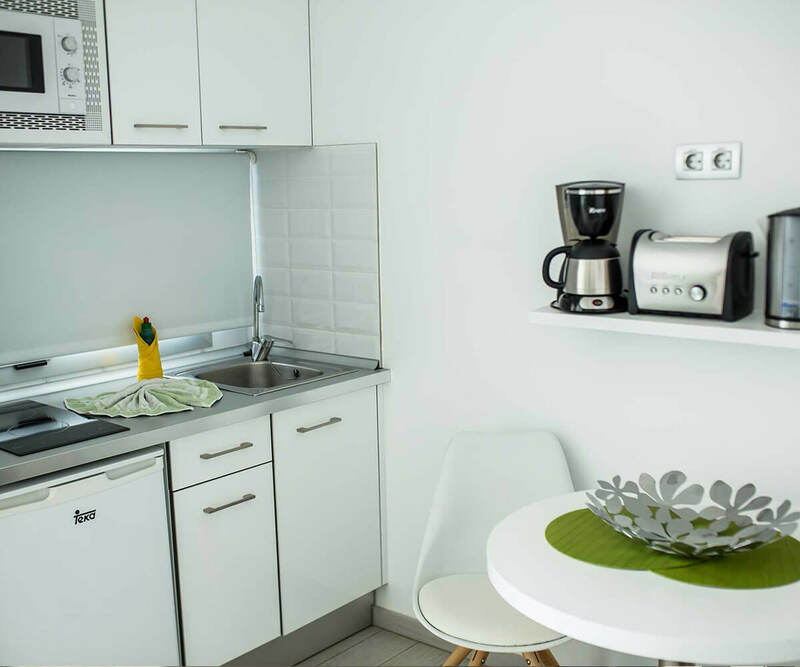 Double room equipped with two single beds, living area with sofa and desk, furnished terrace, bathroom with shower, wardrobe, safety deposit box, air conditioning, TV and free Wi-Fi Internet connection. 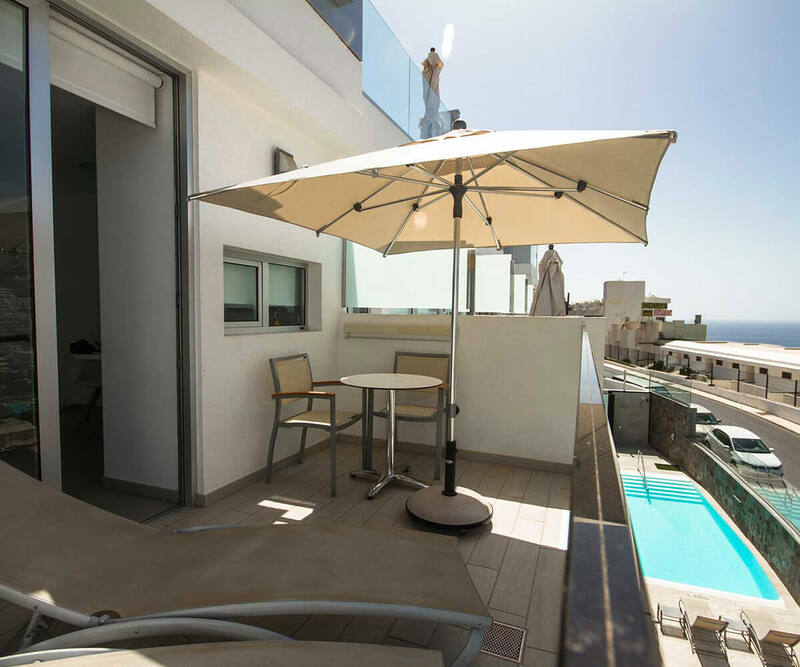 Double room equipped with two single beds, living area with sofa and desk, furnished terrace with views of the sea, bathroom with shower, wardrobe, safety deposit box, air conditioning, TV and free Wi-Fi Internet connection. 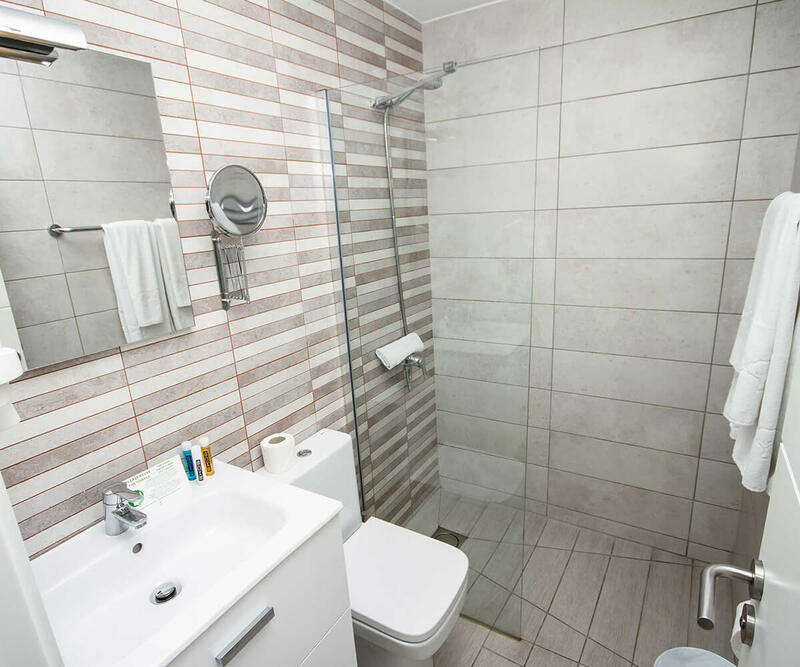 Bathroom amenities kit: soap, shower gel, shampoo and moisturising cream. 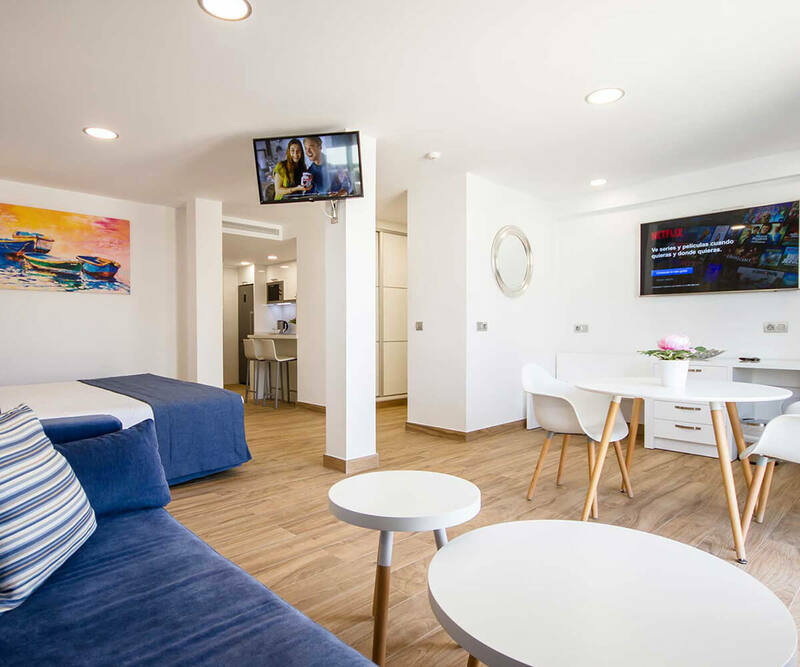 Spacious apartment equipped with King-size bed, living area with sofa, table and chairs; desk, bathroom with double shower and, complete kitchenette with oven, dishwasher, glass ceramic hob and a full set of kitchen utensils; and a terrace furnished with table chairs and a Jacuzzi. 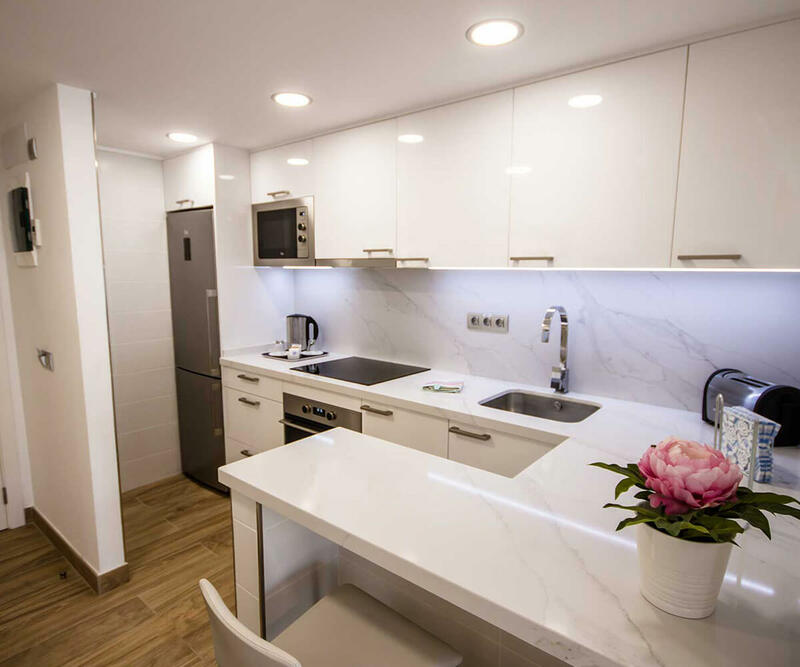 1-bedroom apartment with two single beds joined together, living area with sofa, table and chairs; kitchenette fully equipped with fridge, glass ceramic hob and microwave, bathroom with shower, wardrobe and terrace furnished with table and chairs. 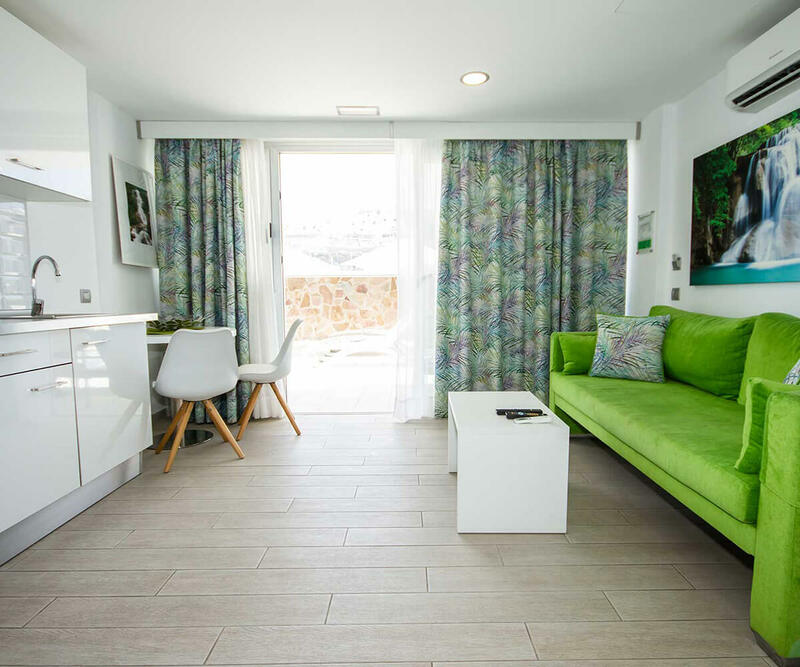 1-bedroom apartment with two single beds joined together, living area with sofa, table and chairs; fully equipped kitchenette with fridge, glass ceramic hob and microwave, bathroom with shower, wardrobe and terrace with views of the sea furnished with table and chairs. 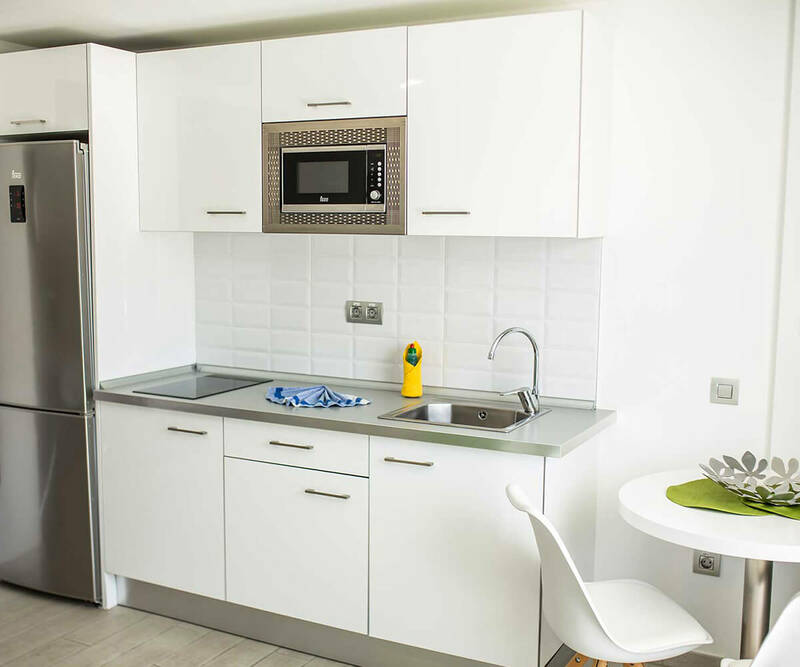 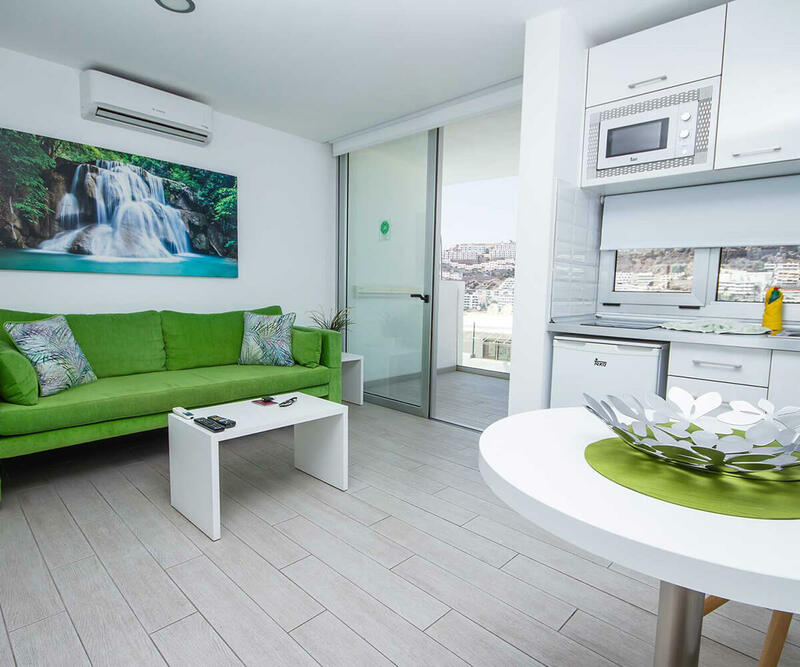 Studio equipped with two single beds joined together, living area with sofa, table and chairs; fully equipped kitchenette with fridge, glass ceramic hob and microwave and a terrace with pool access furnished with table and chairs. 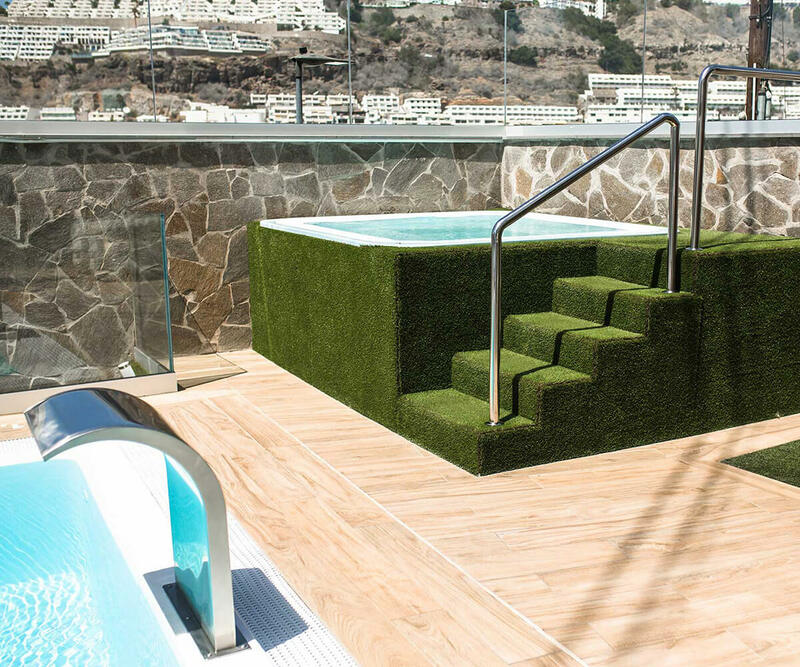 We have two outdoor swimming pools with solarium areas and a Jacuzzi. 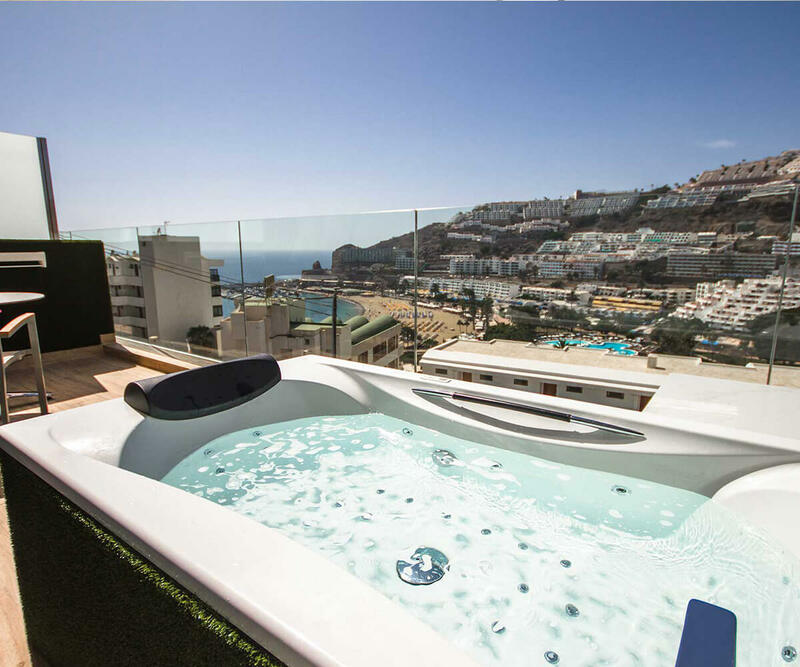 Also, both buildings have a rooftop Jacuzzi and solarium. 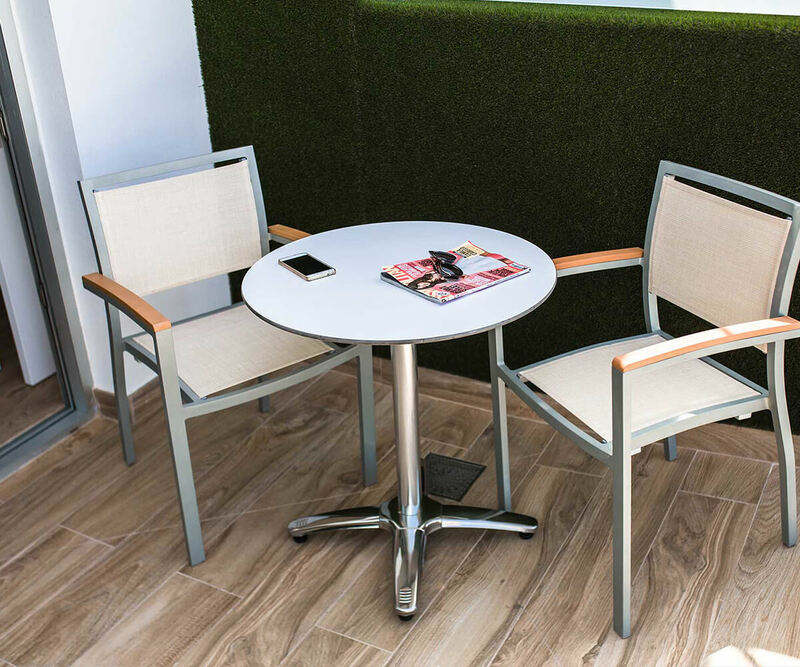 Relax and enjoy yourself in this quiet and peaceful environment. 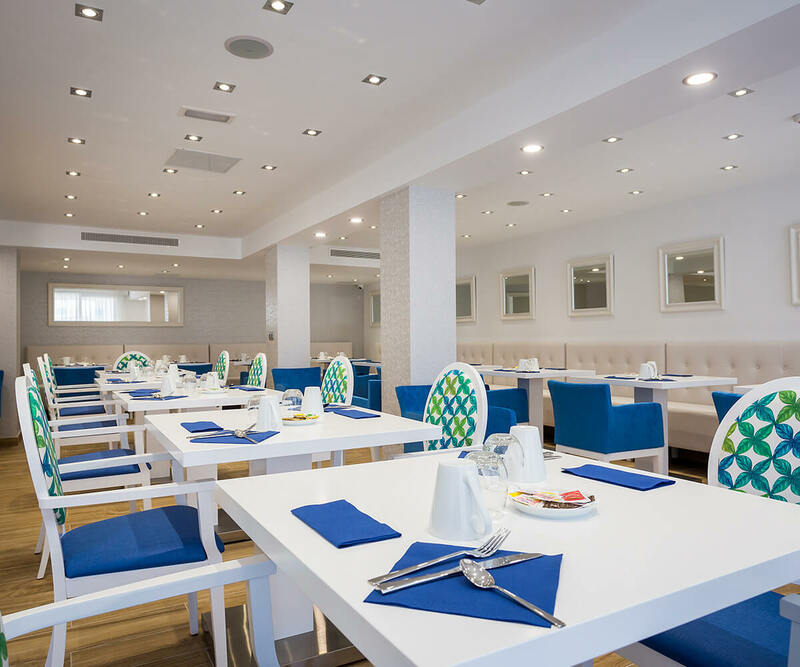 At IG Hotel Atlantic you can eat at La Princesa, a restaurant which serves a delicious breakfast buffet and à la carte dinners. 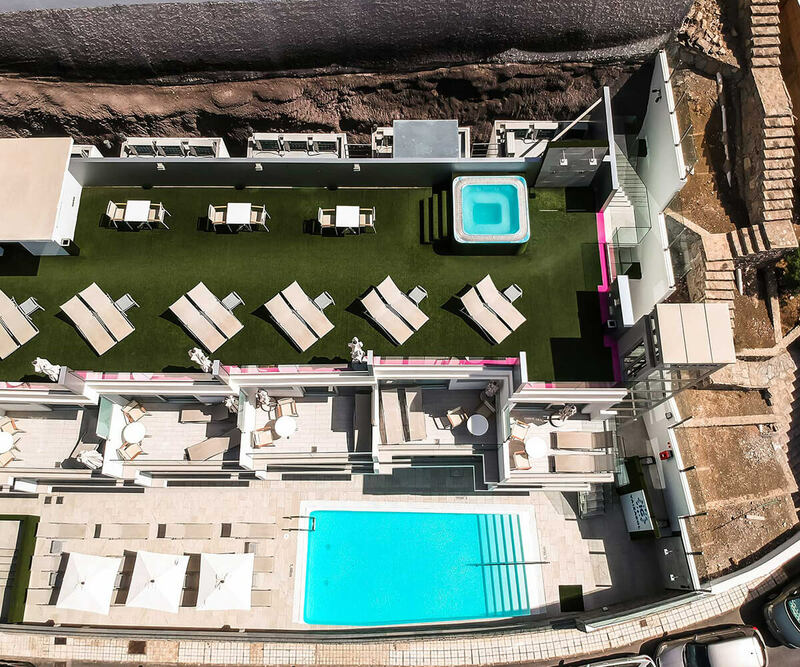 You can also order snacks and drinks at the pool bar. 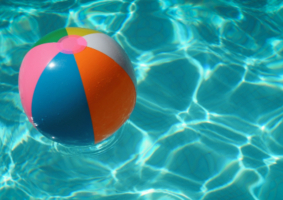 Pool Bar (snacks): 12.00 p.m. – 5.00 p.m.
IG Nachosol Atlantic & Yaizasol by Servatur are located on the eastern slope of Puerto Rico, the perfect location to easily access the beach and all services. 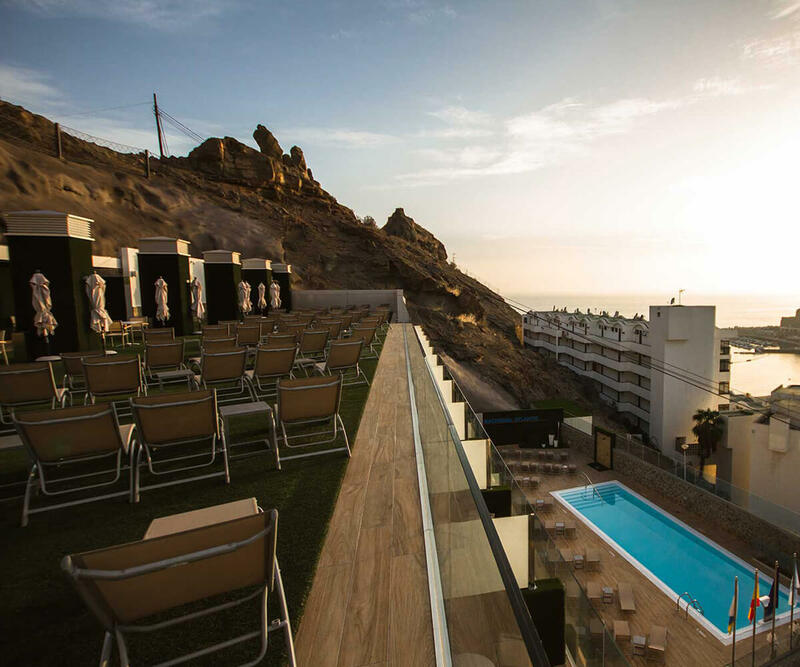 Avda de Fuerteventura, 15, 35130, Puerto Rico, Gran Canaria.